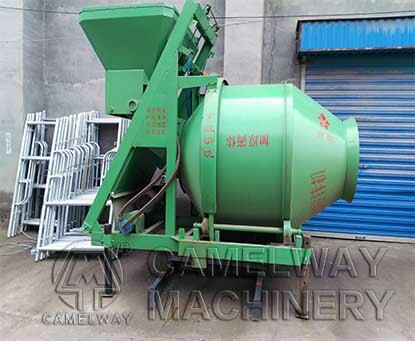 It is a friction-driven, self-falling concrete mixing machine, discharging with the double wimble rotating reversely. It mixes the material by rotating positively, and discharges by rotating reversely. The user can dig a pit for fixed mix; it can make the hopper orifice level with the ground. By this way, feeding will be more convenient. The machine is an advanced type of mixing machine. Beautiful appearance; high productivity; good-quality mixing; easy to operate and maintain. This entry was posted in Solution, Tanzania Batching Plant and tagged mixer by camelway. Bookmark the permalink.